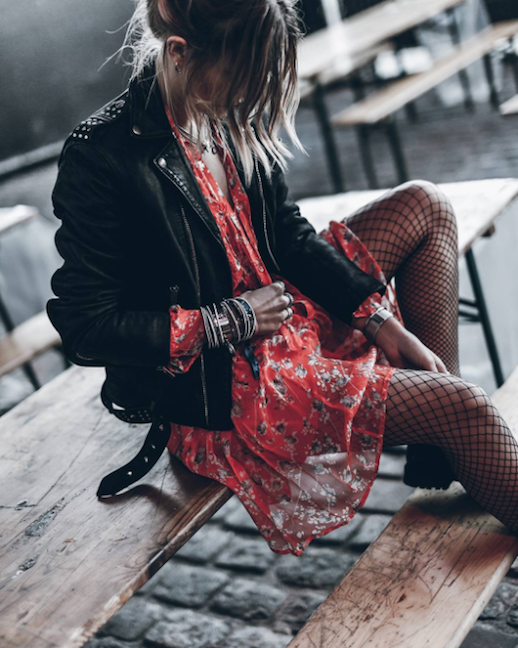 Fishnets were once considered exclusively grungy and excessively rock n roll but as they moved through the street style circuit, they have become a perfect mixture of modern and cool. You may think of the trend as 'hard to pull off' but we're here to prove you wrong. They're more interesting than regular black or gray tights and warmer than bare legs. There are a few ways to approach this trend and the photos above are two of our favorites.